St. John is a unique Caribbean paradise, and so is the shopping in St. John, which is not only duty-free but an adventure! You simply must browse the stores in Wharfside Village and Mongoose Junction as well as others tucked along the streets near favorite eateries. You can find yourself the perfect souvenir or look for a gift to bring back to your loved ones back home. As you stroll the uncrowded streets of the small village of Cruz Bay, check out a few of our favorite shops. This West Indian gallery features work by local artists, including paintings, prints, and crafts. Pink Papaya is a great place to look for that statement piece of artwork to bring back with you, either for your own keepsake or for family and friends. This store is known for housing some of the most unique and unusual gifts that you will find on the island. Pink Papaya has been voted best gift shop in the Virgin Islands, best jewelry on St. John, and best home decor on St. John. That gives just an idea of the range of artwork featured at this premier destination for shopping in St. John. Some particular specialties include petroglyph jewelry and beach beads. While shopping in St. John, don’t miss out on visiting R&I Patton, named for designer smiths Rudy and Irene Patton. At this unique store, silver and goldsmithing are performed onsite. Some pieces are even created using molds of sea creatures. Jewelry is also created in the shape of tropical flowers, like the popular hibiscus. A unique jewelry piece from R&I Patton is truly a classy way to show off your visit to the island. Coin bracelets, pearl necklaces, and other designer pieces await. If you’re looking to take some island flavors back home with you, then you should go shopping in St. John at St. John Spice. This Caribbean general store is located just upstairs from the ferry dock and features everything from souvenirs to some delicious local food products. Want to try a new hot sauce? Looking for that Virgin Islands recipe book to take back home to grandma? 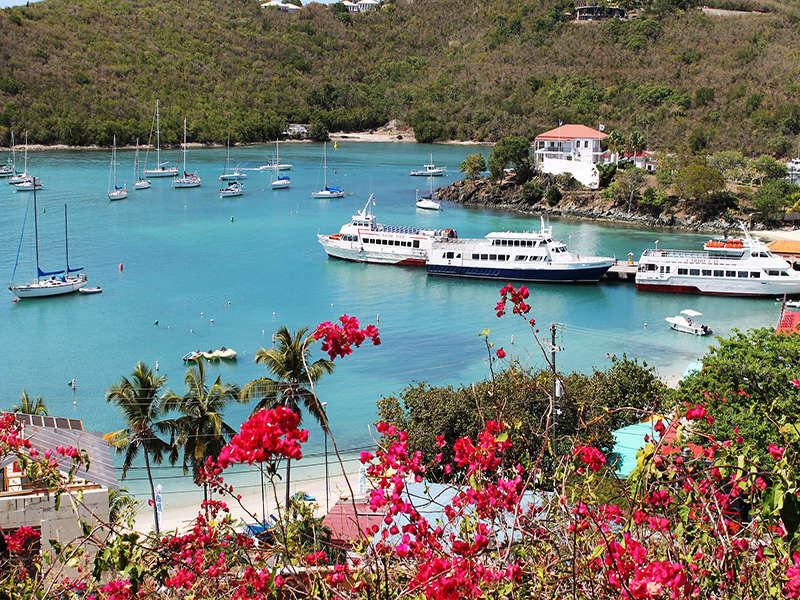 This is the perfect place to go shopping in St. John for those items! You can also buy some Caribbean rum balls, candles, and your classic tourist t-shirts and various merchandise. Try this one stop shop for everything from oceanside-essential beach bags to gift-worthy pepper jellies and jams. Another great art stop for shopping in St. John is Bajo El Sol, which features fine paintings from local artists. Not only is there wall art available, but there are also little tabletop treasures scattered throughout the store. Located at the Mongoose Junction, Bajo El Sol has some incredible ocean and island scene paintings by owner Livy Hitchcock as well as works of art by local wood turner Avelino Samuel. Art media include pottery, metal sculpture, and wood turning along with paint, prints, and photography. Whatever place you choose to go shopping in St. John, you will be sure to find a souvenir to remember your trip by. There are plenty of unique gift ideas, boutique local artwork, and classic tourist treats to discover on the island, whatever you’re looking for. During your stay with CimmaronStJohn, we hope you create a lot of memories that you can’t quite capture in a souvenir. We hope those memories will be a special present all your own that you hold onto for years to come!